Sign up for our Newsletter and receive $10 off your next purchase of a Cardiotext Publishing title. A hands-on guide for the reduction or elimination of fluoroscopy during the mapping and catheter ablation of cardiac arrhythmias using intracardiac echocardiography (ICE) and electroanatomic mapping (EAM). Safely and effectively work toward significant reduction in fluoroscopy utilization. Reduce radiation exposure to the patient, physician, and staff. Discusses general principles that are applicable across ICE and EAM platforms. Includes online access to 50 videos, with 9 extended films by Dr. Razminia detailing step-by-step procedures. Print and eBook collections start at $488.00. Individual titles can be found here. Full-page detailed landscape tracings with discussions on fundamental electrophysiologic and electrocardiographic principles and clinical concepts - over 640 cases in the collection! Look inside Volume 6. 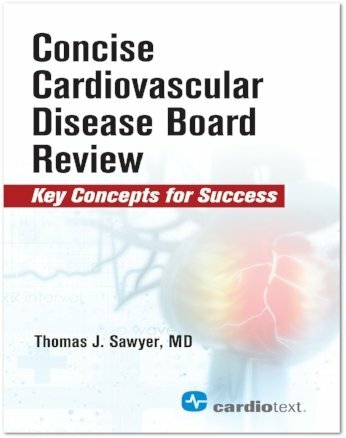 Our cardiology books by internationally recognized physician-authors include titles on electrophysiology, cardiac anatomy, ECGs, congenital heart disease, vascular disease, and other areas in cardiac medicine.